01:20 Kumar, Shri Shanta ,Advani, Shri Lal Krishna ,Hari, Shri G. ,Pradhan, Shri Nagendra Kumar ,Kambhampati, Dr. Hari Babu ,Boianapalli, Shri Vinod Kumar ,Patel, Shri Prahlad Singh ,Roy, Prof. Saugata ,Singh, Shri Ravneet ,Teli, Shri Rameswar ,Manhas, Shri Shamsher Singh ,Gujral, Shri Naresh ,Netam, Shri Ram Vichar , Briefing by the representatives of C&AG on Audit Report No. 18 of 2017 (Compliance Audit) on FCI. 00:25 Kumar, Shri Shanta ,Advani, Shri Lal Krishna ,Pradhan, Shri Nagendra Kumar ,Kambhampati, Dr. Hari Babu ,Patel, Shri Prahlad Singh ,Roy, Prof. Saugata ,Singh, Shri Ravneet ,Singh, Shri Sushil Kumar ,Teli, Shri Rameswar ,Deb, Shri Pratap Keshari ,Manhas, Shri Shamsher Singh ,Gujral, Shri Naresh ,Khan, Shri Mohd. Ali , Consideration and adoption of the draft Report on the subject (i) Consideration and adoption of the draft Report on the Subject Review of Loss making CPSUs. (ii) Consideration and adoption of the draft action taken Report on the observations / recommendations contained in the Eighteenth Report of the Committee on Public Undertakings (2017-18) on "Housing and Urban Development Corporation (HUDCO)". 01:40 Kumar, Shri Shanta ,Advani, Shri Lal Krishna ,Hari, Shri G. ,Kambhampati, Dr. Hari Babu ,Rao, Shri Konakalla Narayana ,Nishad, Shri Ajay ,Roy, Prof. Saugata ,Singh, Shri Ravneet ,Singh, Shri Sushil Kumar ,Teli, Shri Rameswar ,Deb, Shri Pratap Keshari ,Manhas, Shri Shamsher Singh ,Gujral, Shri Naresh ,Khan, Shri Mohd. Ali ,Netam, Shri Ram Vichar , Role of CPSUs in solar energy sector. Briefing by the representatives of Ministry of New and Renewable Energy on the subject Role of CPSUs in Solar Energy Sector. 00:40 Kumar, Shri Shanta ,Advani, Shri Lal Krishna ,Pradhan, Shri Nagendra Kumar ,Kambhampati, Dr. Hari Babu ,Nishad, Shri Ajay ,Roy, Prof. Saugata ,Sawaikar, Advocate (Shri) Narendra Keshav ,Teli, Shri Rameswar ,Deb, Shri Pratap Keshari ,Manhas, Shri Shamsher Singh ,Gujral, Shri Naresh ,Khan, Shri Mohd. Ali ,Selvaraj, Shri A. K. ,Netam, Shri Ram Vichar , Review of Loss Making CPSUs . Oral evidence of the representatives of NITI Aayog on the subject Review of Loss Making CPSUs . 00:15 Bais, Shri Ramesh ,Hari, Shri G. ,Pradhan, Shri Nagendra Kumar ,Kambhampati, Dr. Hari Babu ,Nishad, Shri Ajay ,Boianapalli, Shri Vinod Kumar ,Patel, Shri Prahlad Singh ,Sawaikar, Advocate (Shri) Narendra Keshav ,Teli, Shri Rameswar ,Manhas, Shri Shamsher Singh , Review of Loss Making . Internal discussion on the subject Review of Loss Making CPSUs. 01:15 Kumar, Shri Shanta ,Pradhan, Shri Nagendra Kumar ,Kambhampati, Dr. Hari Babu ,Rao, Shri Konakalla Narayana ,Nishad, Shri Ajay ,Patel, Shri Prahlad Singh ,Roy, Prof. Saugata ,Singh, Shri Ravneet ,Singh, Shri Sushil Kumar ,Teli, Shri Rameswar ,Manhas, Shri Shamsher Singh ,Gujral, Shri Naresh ,Ramesh, Shri C.M. , Review of Loss Making CPSUs , Oral evidence of the representatives of NITI Aayog on the subject Review of loss making CPSUs. 01:20 Kumar, Shri Shanta ,Advani, Shri Lal Krishna ,Patel, Shri Prahlad Singh ,Roy, Prof. Saugata ,Singh, Shri Sushil Kumar ,Khan, Shri Mohd. Ali ,Selvaraj, Shri A. K. ,Ramesh, Shri C.M. , Performance under CSR by CPSUs - A Review , Oral evidence of the representatives of NTPC Limited in connection with examination of the subject Performance under CSR by CPSUs - A Review . 01:10 Kumar, Shri Shanta ,Advani, Shri Lal Krishna ,Hari, Shri G. ,Pradhan, Shri Nagendra Kumar ,Patel, Shri Prahlad Singh ,Roy, Prof. Saugata ,Sawaikar, Advocate (Shri) Narendra Keshav ,Singh, Shri Ravneet ,Gujral, Shri Naresh ,Khan, Shri Mohd. Ali , Interaction of the Chairperson and Members of the Committee on Public Undertakings with the Vice-Chairperson and Members of the Budgetary Affairs Commission of the Standing Committee of the National Peoples Congress of the Peoples Republic of China. 00:15 Kumar, Shri Shanta ,Advani, Shri Lal Krishna ,Pradhan, Shri Nagendra Kumar ,Nishad, Shri Ajay ,Roy, Prof. Saugata ,Sawaikar, Advocate (Shri) Narendra Keshav ,Singh, Shri Sushil Kumar ,Deb, Shri Pratap Keshari ,Manhas, Shri Shamsher Singh ,Khan, Shri Mohd. Ali ,Selvaraj, Shri A. K. ,Ramesh, Shri C.M. , Review of Loss Making CPSUs , Consideration and Adoption of Draft Report on the subject Review of Loss Making CPSUs. 00:50 Kumar, Shri Shanta ,Advani, Shri Lal Krishna ,Hari, Shri G. ,Pradhan, Shri Nagendra Kumar ,Kambhampati, Dr. Hari Babu ,Nishad, Shri Ajay ,Gujral, Shri Naresh , (i) Consideration and adoption of Draft Action Taken Report (ATR) on the subject National Highways Authority of India. (ii) Briefing by the representatives of C&AG on Performance Audit Report No. 29 of 2017 on Competitiveness of BHEL in emerging markets. 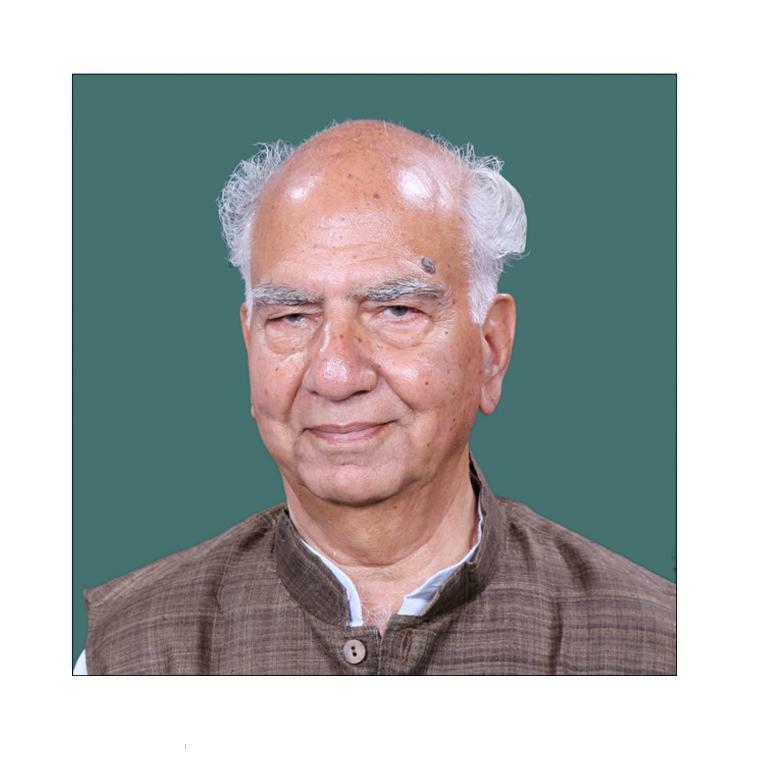 01:45 Kumar, Shri Shanta ,Advani, Shri Lal Krishna ,Hari, Shri G. ,Patel, Shri Prahlad Singh ,Roy, Prof. Saugata ,Teli, Shri Rameswar ,Manhas, Shri Shamsher Singh ,Gujral, Shri Naresh ,Ramesh, Shri C.M. , (i) Group Photograph of the Committee. (ii) Briefing by the representatives of C&AG on Fuel Management of Coal based Power Stations of NTPC Ltd. (Based on Performance Audit Report No. 35 of 2016). 3 11 to 16 February 2015 Kumar, Shri Shanta ,Chowdhary, Shri Pankaj ,Gandhi, Shri Dilip Kumar Mansukhlal ,Patel, Shri Prahlad Singh ,Rathwa, Shri Ramsinh Pataliyabhai ,Roy, Prof. Saugata ,Budania, Shri Narendra ,Rangasayee Ramakrishna, Shri ,Ramesh, Shri C.M. ,Sen, Shri Tapan Kumar ,Muthukaruppan, Shri S. , Chennai, Mahabalipuram, Thiruvananthapuram, Kanyakumari and Bengaluru Shipping Corporation of India Limited, Indian Rare Earth Limited, Nuclear Power Corporation of India Limited, Antrix Corporation Limited, BHEL in connection with examination of Corporate Social Responsibility in select CPSUs, BHAVINI, NMDC Limited, Indian Oil Corporations Limited, Bharat Petroleum Corporation Limited and Hindustan Petroleum Corporation Limited in connection with examination of subject Purchase of Petroleum products by Oil Marketing CPSUs.